7 Nostalgic TV Shows That Was Released Over 15 Years Ago! 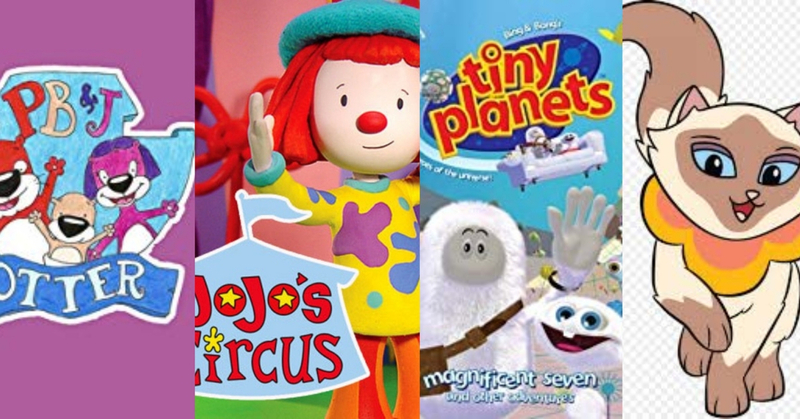 These TV shows was released before some of us were even born! Can you remember the good old days, when you used to wake up extra early or eat your food a tiny bit quicker, so you wouldn’t miss a glimpse of your favourite show? We all had our favourite TV shows growing up and we don’t reminisce enough on the shows that once brought us so much joy. Singing along to the theme song as if it was embedded into our heads was one of the best parts of our childhood. Let’s give our childhood one last go! As we stroll down memory lane. Do you remember the curious 6-year old clown? The show was premiered almost 16 years ago, feel old yet? Jojo lived with her family and friends in a town called Circus Town. Tiny planet was premiered over 18 years ago! If you were like me and sang along while they flew up to space, here is your chance again! Remember the Siamese kitten that lived in the historical town of China? Well, that series was released over 18 years ago. Sagwa was a kitten that exposed children to the Chinese culture and how much family should be cherished and valued. Here is the opening theme song that we all once sang along to. Clifford the Big Red Dog was introduced to us over 19 years ago! If you don’t know who Clifford is (which I doubt you don’t) he is a 20-foot-tall red dog who loves stories that was usually read by his owner Emily. His friends, Cleo and T-Bone, all live in an island called Birdwell Island where they teach kids good citizenship. Just like the Higglytown heroes” remember that theme song? This show needs no introduction, the theme song was so catchy that every time it played we would sing along to it. Kip, Wayne, Eubie and Twinkle were all friends where in every episode an everyday-hero is introduced during their times of dire need, as we journeyed with them, finding out the importance and roles of the different types of jobs. This iconic TV series premiered over 21 years ago. Peanut, Baby and Jelly brought us all on an adventures that we can’t seem to forget! Let us know if the theme song made you miss them. We learned how to imagine, explore and solve all kind of problems with this big and friendly bear along with his many other animal friends. Which of these TV shows did you miss most? Let us know in the comments!